What will bring you the best results? Should you blog from your website or Facebook or Twitter? Should you blog from a website or social platform? Here are a few tips to help you decide on the best way forward with regard to the above dilemma. The fact remains that in terms of control websites still carry the day. From the content type, layout and terms, the website owner has no restrictions on how, when, where and to what extent. On the contrary, Facebook, Twitter and other social platforms have inbuilt layouts that determine how you advertise, to whom you advertise plus you have to abide to their terms and conditions. Plus followers may post things that you may not have control over. Literary companies are expected to have websites. They are more credible and consumers can refer to them should they need more information. But can Social platforms boast of such credible content? Probably not. With the rise of parrot accounts, consumers often need to be guaranteed of the credibility of anything before committing. A name and email may be all you need to set up an account. A click here, uploading a photo and you are all set. No hassle no trick, compare that with website developing and designing, both time and resource intensive. The short and cheap way will do for now, but think 5 or so years down the line when you wish to sell part or whole of your company. Will you approach your potential buyer with a page? Website on the other hand is an assets, an investment that will bring value to your company. In today’s world, if you have a business you have to have a website. If you have a website, you have to have social networking pages. Both worlds go hand in hand with each other. Social platforms are easy to set up as attested by web designers and developers from WebAuthorings.com, parent company of WeRockSEO.com. In addition, they are cost effective and have a wide reach. But SEO experts warn of the danger of relying fully on them. Those that are privately owned and you may never know if they are a private entity, when they decide to pack and leave with no warning, you’re virtually homeless. Having all your eggs in one basket is a risky venture. This sentiment has been echoed too by most web developers and web designers alike. With the best intentions from such experts, their advice has been to marry the two, let the two complement each other. In simple terms, the concept should be to entice them on social media networks and bring them back to your site. Too many people stop blogging and creating content on their website and focus on just social media. Potential clients will not fill out a form or purchase from a Facebook post, they will however react from your well-constructed website if you lead them down the path!!! If you are a WebAuthorings client, then we have employed SocialNET into your CMS website. SocialNET is a 3 tier concept. Tier 1 displays icons that link to all of your social networks. They open in a new window or tab as to keep the user within your website. 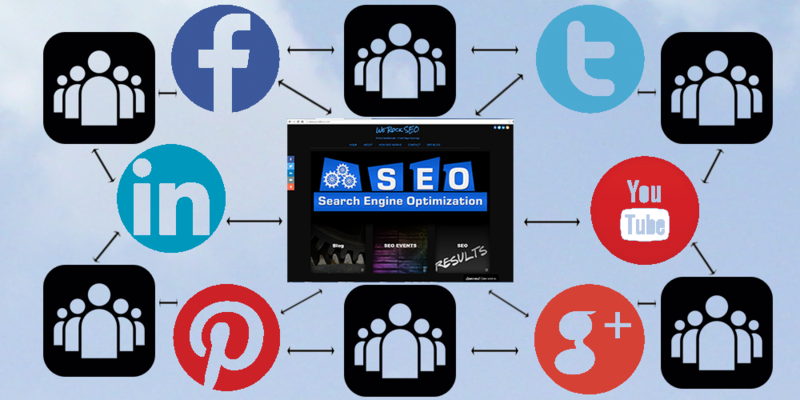 Tier 2 allows a user to easily share any page or post on your website to any of their social networks. Tier 3 is auto-posting. When you create a blog post and click the publish button, aside from the article going live on your website, content is pushed to Facebook and Twitter. Yes…we employ the kill three birds with one stone theory! An image along with an except of the article shows on your social network pages. When clicked, the user is redirected back to the article on your website. Now you will have more of a chance of them calling you if you provide a phone number at the bottom of the article or emailing you through your website. Along with automation, you should also engage with your audience on your social networks by commenting on a topic that may have been auto-posted, by manually creating content in between the auto-posts, or by posting something simple regarding your business like a funny picture or story. In essence, the bulk of your social network content should lead the readers back to your website, but a light sprinkling of human-derived content is also recommended for the best results. We Rock SEO has many of its clients in Philadelphia, NJ, New York, Los Angeles with many more scattered throughout the United States. If you’re looking for an SEO firm that practices White Hat SEO Concepts, talk to us. You’ll get double the effort @ 1/2 the price of other SEO companies.